This project starts with the hypothesis that processes constituting modernity are not the same as a homogeneous “Westernisation” of the world. Following the theories of “hybridity” (H. Bhabha) and “multiple modernities” (S.N. Eisenstadt), the project investigates secularism (as an ideological programme) and secularisation (as a historical process of social differentiation), in modern Sri Lanka as a discursive formation which emerged from a dialogue between recently introduced and past cultural resources. The metaphor of a “dialogue” between present and past denotes the complex process in which the continuity of historical cultural configurations (concepts, institutions, social hierarchies, etc.) as well as conceptualisations of the past, interact and resonate with more recent practices and ideas (democracy, nation, human rights, liberal markets, Marxist ideas, religious neutrality of the state, etc.) in order to produce locally specific cultural figures of “modernity”. In accordance with Bhabha, the shifting asymmetry of power relations, which condition these processes, have to be integrated into the analysis. In order to avoid the criticism of simplified culture-intrinsic explanative models, it is important to be aware of the fact that neither did recent resources enter the local discourses in simple “Western” coinage, nor did past resources emerge in local isolation. In both time perspectives the translocal aspects have to be taken into account, with due respect to “Inner-Asian” communication networks. The hypothesis suggests that Sri Lanka, as a local variant within the spectrum of “multiple secularities”, can be better understood if interpreted in the outlined perspective. Although the concept starts with modernity, its key is the investigation of equivalent concepts and processes in “premodern” history. The project focuses on several historical “layers”. These include the modern period after independence in which the opposition between “secularism“ and “religion” (lokāyata, āgama) is strongly conditioned by the context of religious and ethnic conflicts, the late colonial period in which this opposition pair rose to prominence in anti-colonial movements and an increasing “traditionalism” and Pan-Asian solidarity, and the post-5th century pre-colonial period. This timeframe cannot yet be defined more precisely though a thorough examination of the respective sources will most probably point to several distinguishable temporal layers. Bretfeld, Sven, and Zander, Helmut (2016). "Henry Steel Olcott: The Buddhist Catechism," in Religious Dynamics under the Impact of Imperialism and Colonialism. A Sourcebook. Edited by Björn Bentlage, Marion Eggert, Hans Martin Krämer, and Stefan Reichmuth, 472-85. Leiden: Brill. Bretfeld, Sven (2015). “Purifying the Pure: The Visuddhimagga, Forest-Dwellers and the Dynamics of Individual and Collective Prestige in Theravada Buddhism,” in Discourses of Purity in Transcultural Perspective (300-1600). Edited by Matthias Bley, Nikolas Jaspert and Stefan Köck, 320–47. Leiden: Brill. 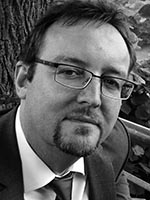 Bretfeld, Sven (2012). "Resonant Paradigms in the Study of Religions and the Emergence of Theravāda Buddhism." Religion, 42/2 (2012): 273–97. Bierende, Edgar, Sven Bretfeld and Klaus Oschema (2008). Riten, Gesten, Zeremonien: Gesellschaftliche Symbolik in Mittelalter und Früher Neuzeit. Berlin, New York: de Gruyter. Bretfeld, Sven (2004). „The ‘Great Debate' of bSam yas, Construction and Deconstruction of a Tibetan Buddhist Myth.” Zeitschrift der Schweizerischen Asiengesellschaft, LVIII/1: 15–56. Bretfeld, Sven (2003). „Zur Institutionalisierung des Buddhismus und der Suspendierung der ethischen Norm der Gewaltlosigkeit in Sri Lanka.“ Zeitschrift für Religionswissenschaft, 11: 149–65. Bretfeld, Sven (2003). „Visuelle Repräsentation im sogenannten ‘buddhistischen Yogalehrbuch' aus Qizil,“ in Indien und Zentralasien Sprach- und Kulturkontakt. Edited by Sven Bretfeld, and Jens Wilkens, 167–205. Wiesbaden: Harrassowitz.